In 3-quart saucepan, cook and drain ravioletti as directed on package. Rinse with cold water to cool; drain. In large bowl, toss all ingredients and ravioletti. Serve immediately, or cover and refrigerate until serving time. 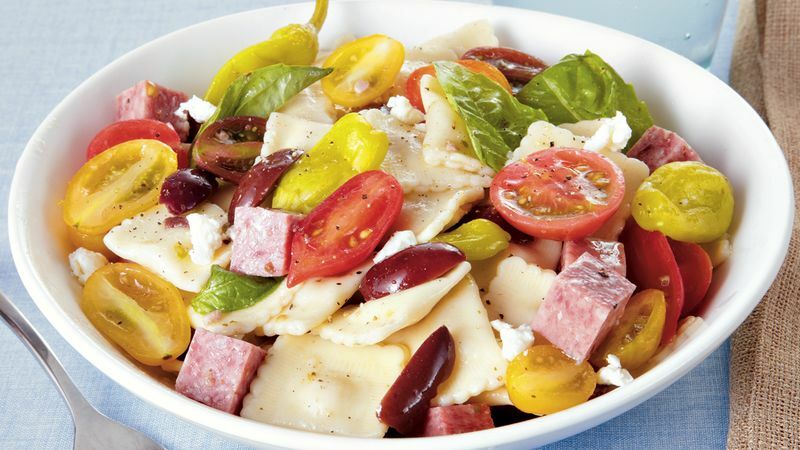 Meat, cheese and ravioletti make this salad a hearty one-dish meal. Substitute regular ravioli, if desired.